Catching Up With Our Alums! Congratulations to our newest alumni, the Class of 2018, pictured above! 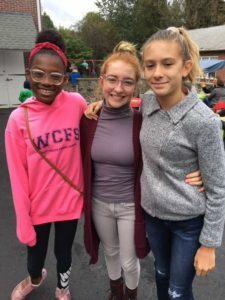 Look who stopped by the Fall Fair! 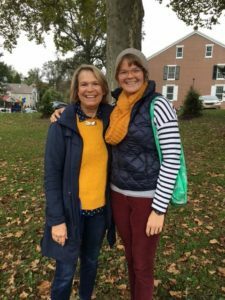 Jordan Fischer ’99, now a WCFS Trustee, with her mom, Connie. Alums Saige, Taylor and Vivian were happy to see each other! 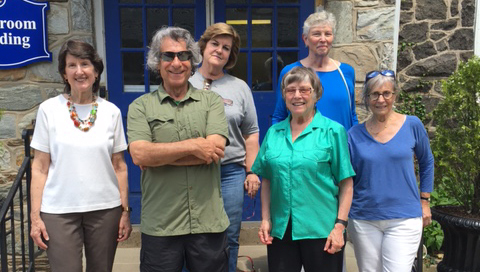 Members of the Class of 1958 spent a weekend in West Chester catching up with one another, sharing memories and spending time at West Chester Friends School! Over dinner at the home of Lynne Fox Little, lunch the next day at Emilie “Harlan” McIlvaine Barber’s, and during their tour of WCFS, they had a lot of fun thinking back to Meeting for Worship, lots of activities, and the faculty, especially Head of School Marie Eiseman, Teacher Bill, the art and wood shop teacher. They remembered the annual Halloween party in the basement (now the refurbished lunchroom), acting in plays, and boxing lessons on the playground (though it seems nobody told Mrs. Eiseman!). Mel Allen recounted the exciting day he climbed the tree next to the early childhood classrooms and couldn’t get down until the fire trucks came and rescued him! We were so happy to welcome them all! We were delighted to welcome the Class of 2011 for a mini-reunion in June! 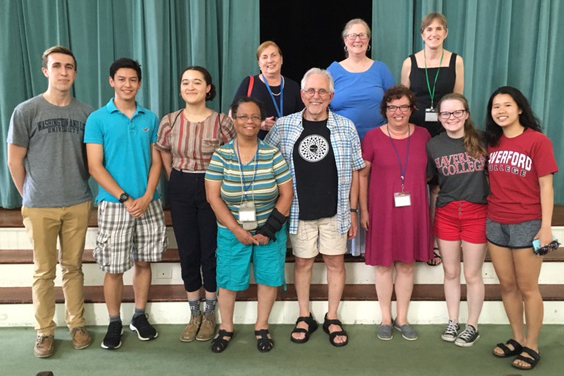 As they graduate from high school, these students were happy to tour their former classrooms reminisce with their teachers, including T. Rege McAden, T. Bonnie McLennan, T. Barbara Rowe, T. John Scardina, T. Annmarie Stigale, and T. Mary Claire Stevens, now retired. We wish them luck and love as they head to college this fall!